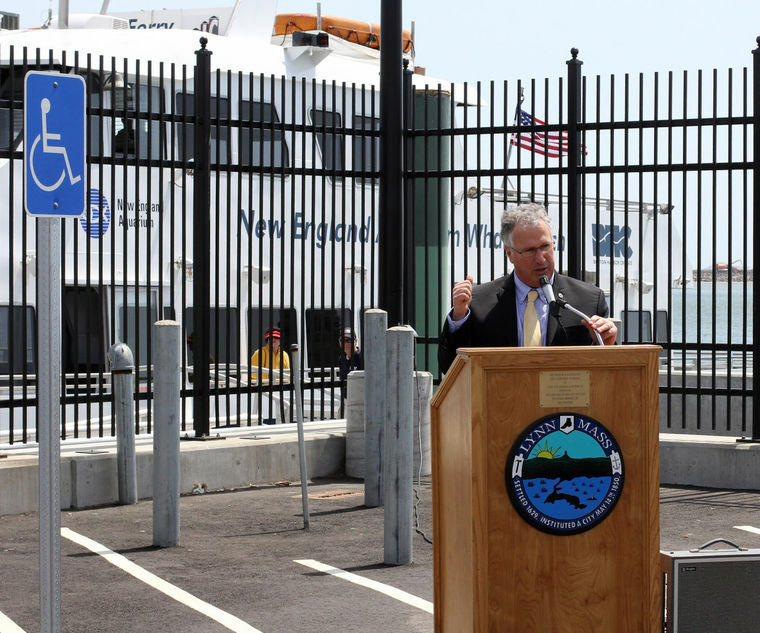 The sun was shining, the gulls were swooping with the breeze and the Lynn commuter ferry stood ready at the pier Friday as local officials gathered to preview the ferry’s second season beginning May 18. The Lynn-to-Boston commuter ferry returns May 18 to run through the remainder of the summer, its second year of a two-year pilot program. The schedule will remain the same as last year: three departures Monday through Friday at 6:30 a.m., 8 a.m. and 6:30 p.m. from the Blossom Street Extension ramp in Lynn to Central Wharf in Boston (by the New England Aquarium). There are three return trips from Central Wharf at 7:15 a.m., 5:45 p.m. and 7:15 p.m. The trip takes about 30 minutes and costs $7 each way and $3.50 for seniors and children ages 3 to 12. MBTA Zone 2 passes or higher are honored. There is free parking for about 250 cars at the Blossom Street Extension dock. The boat is run by Boston Harbor Cruises. For its first week, however, all trips will be free. The first 100 riders on May 18 will receive a Dunkin’ Donuts gift card and a free copy of The Item. And although this is the second year of operation, Cowdell and others said the project had been in the works for nearly a decade, and they hoped that it would continue just as long if not longer. In fact, nearly 200 riders petitioned last year to keep the ferry opened longer into the season. Louis Elisa, head of the state’s Seaport Advisory Council, said that the ferry was a prime example of a public/private partnership. And not just local officials were eagerly anticipating the first voyage.